The comic event of the year has arrived! 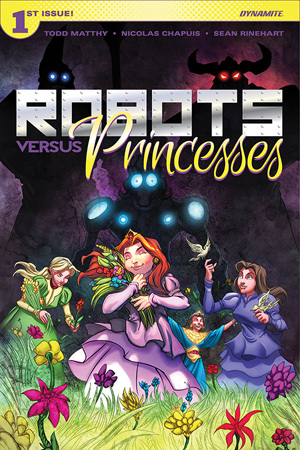 When plucky Princess Zara stumbles upon the Decimator defector Wheeler, she sets in motion events that will pit the spritely cleverness of fairy tale princesses against the raw power of giant robots! The dream match you never thought you'd see begins here. Don't miss it!